Are you moving or looking for large, sturdy moving boxes for other reasons? Here, homeowners share their favorite ways to find the best boxes for moving and organizing things at home. Plus fun ways to repurpose cardboard boxes! Packing to move into a new house soon? I’ve moved… a lot! And I’ve got some unique tips when packing boxes for your move that will help you save time and stay organized! DIY Storage Organizers: Simple Ways To Get Organized Without Spending A Dime! These are some of the best ideas I’ve seen for getting organized without spending a dime! I’ve added my 2-cents to each of these DIY storage organizers, and added a few new related DIY ideas of my own. The result: the best repurposing tips to help you get organized… for FREE! Whether you are moving across town, across the state, or across the country, your moving costs can quickly add up. Here are the biggest line-items that greatly influence your overall cost to move. Great tips for finding free moving boxes, plus the best places to buy moving boxes online. 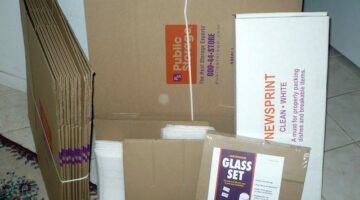 This is a great place to start when preparing for a move and you need a bunch of boxes… fast! 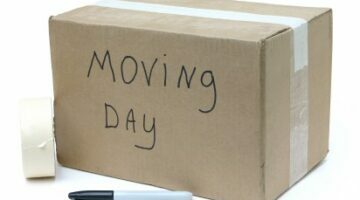 Here is a list of all the moving and packing supplies you may want to consider in preparation for your next move. These items can help you move faster… cheaper… smoother… and more efficiently. Some fun DIY stuff you can do… make your own furniture out of cardboard boxes!